Diamonds are a girl’s best friend, right? 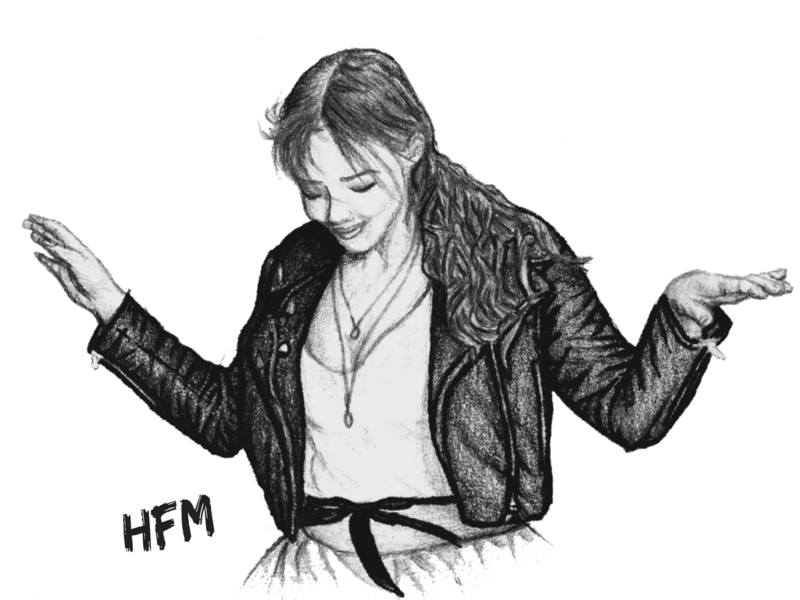 I know I myself would be very happy to receive a sparkly gift this Christmas (not hinting at all) so when the lovely people at Rare Pink got in touch to do a collaboration post* I jumped at the chance. 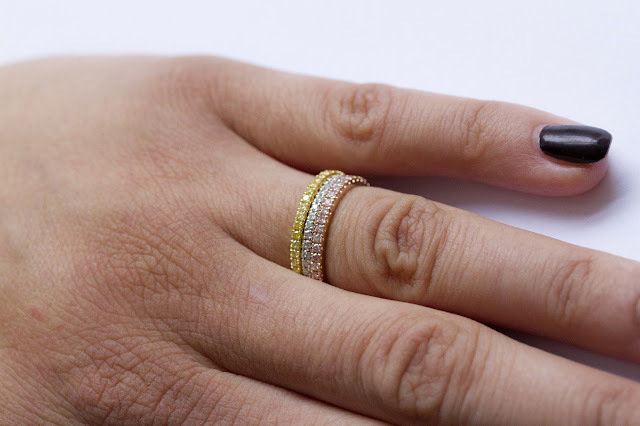 Rare Pink are an award-winning jeweller based both online, and at a consultation room in central London. 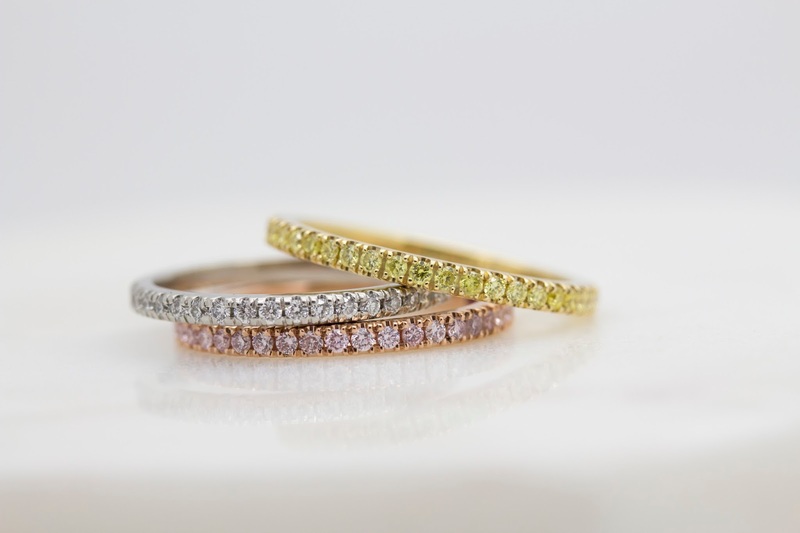 They specialise in diamond jewellery, engagement rings and bespoke designs and they were also named “New Jeweller of the Year” in 2014 by the British Jewellers’ Association. 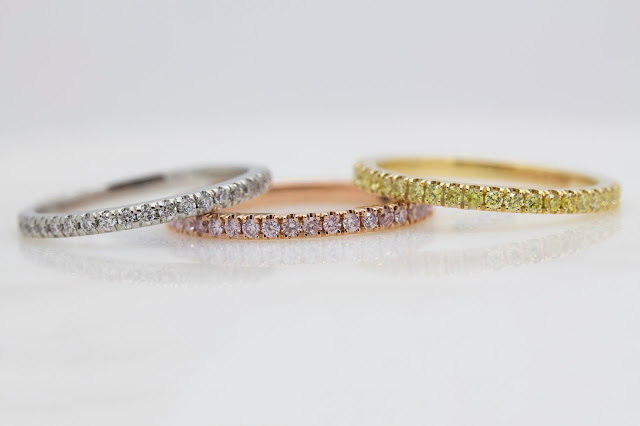 Now these guys aren’t your average run-of-the-mill H Samuel jeweller – they’re high-end, something special, and their jewellery reflects just that. Today I’m going to talk to you about my favourite piece on the website – their stunning stacking rings available in colour combinations to suit even the most diverse of jewellery tastes. Now just how beautiful are these rings? I think it’s really rare for the quality of jewellery be to accurately portrayed in a photograph, but these really are done justice by Rare Pink. Available in yellow, white and rose gold they would, both individually and as a set, make the perfect gift for a special anniversary or celebration. 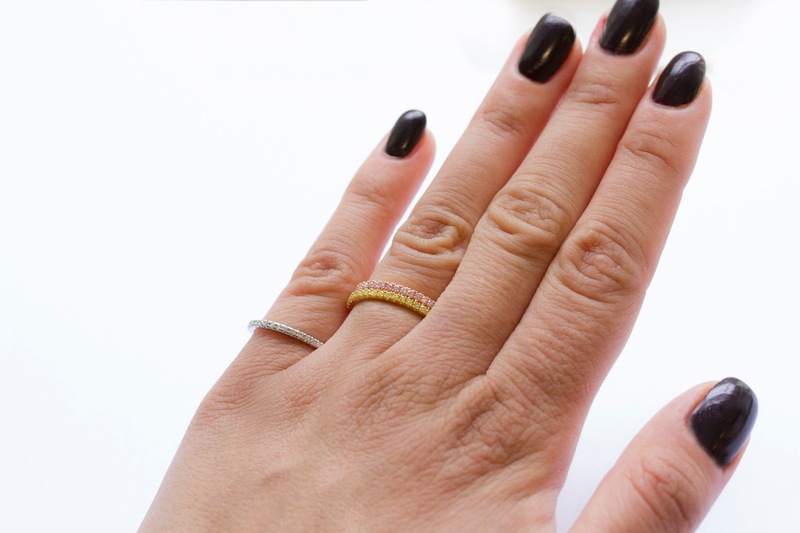 I think my favourite stacking ring combination is the classic silver with white diamonds. They’re such a timeless colourway which goes with absolutely everything. However, (quite surprisingly for me as I’m not usually a fan of rose gold) I’m also drawn to the beautiful pink colours in the rose gold. You can tell a quality rose gold from the copper, shiny colour that is all too often seen in high-street stores. I love that stacking jewellery allows you to switch up the look depending on your mood and other accessories. As Rare Pink offer a bespoke service, you can have a ring made with a different setting and any colour of gemstone – how’s that for service?! 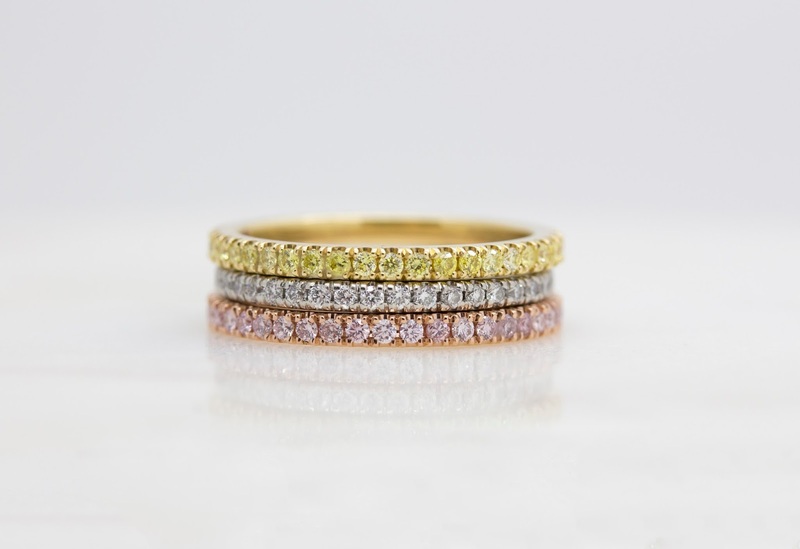 You can’t get much more luxury than a stack of diamond rings on your fingers, but one of the things that I love about Rare Pink as a brand is their commitment to being accessible to all. One of their sayings is “We believe that high-quality bespoke jewellery is a luxury that should be accessible by everyone and everything we do is to guided by this belief.” and they provide finance packages to make their jewellery more affordable, too. What’s your favourite colour combination? Have you ever had any bespoke jewellry made? I’d love to hear your thoughts in the comments section below. In the meantime, you can read all about Rare Pink on their website.